I will just start by saying, I LOVE cauliflower fried rice! 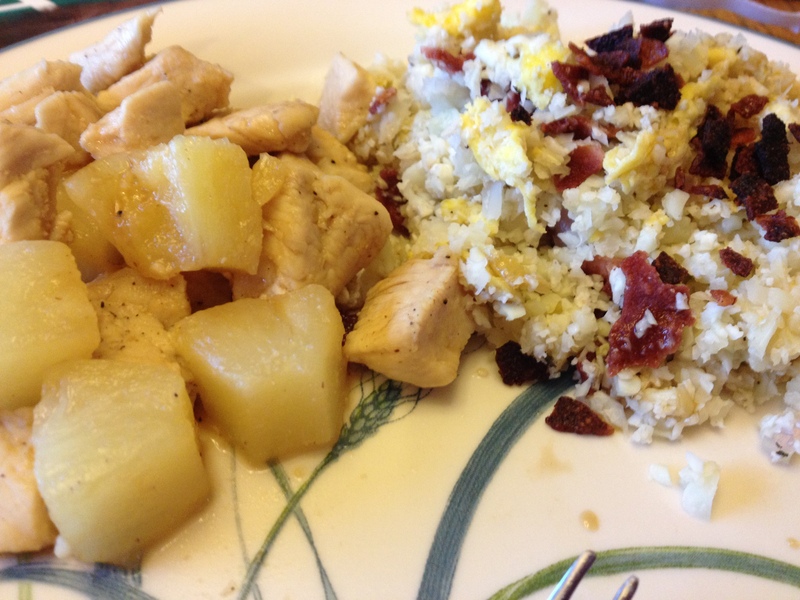 SO good, barely any calories, and there is bacon in it :) You can not go wrong! 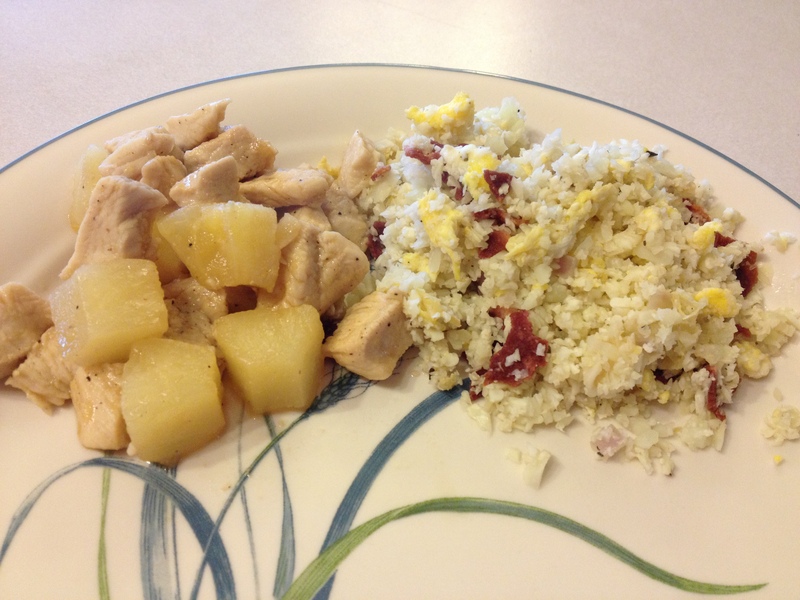 This meal is really easy to prepare and I highly recommend it!! Cut up your chicken into bite sized pieces and place in a pan to cook over medium heat. 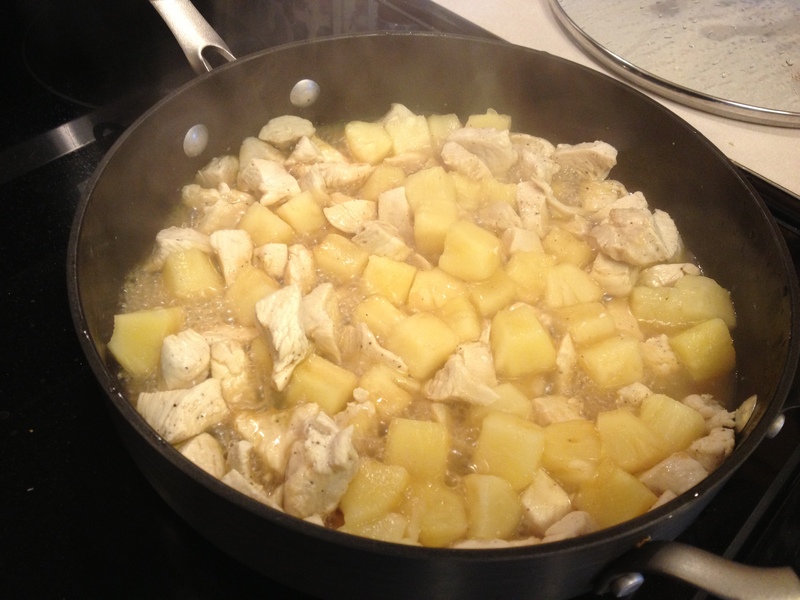 (Will take about 12-15 minutes) Once the meat has cooked through, I add the pineapple (if canned, I pour out most of the juice) and coconut aminos (I just drizzle it over the chicken, no measurement) Less is better here, you can always add more to your own plate. 1. Clean and chop the cauliflower into smaller pieces. 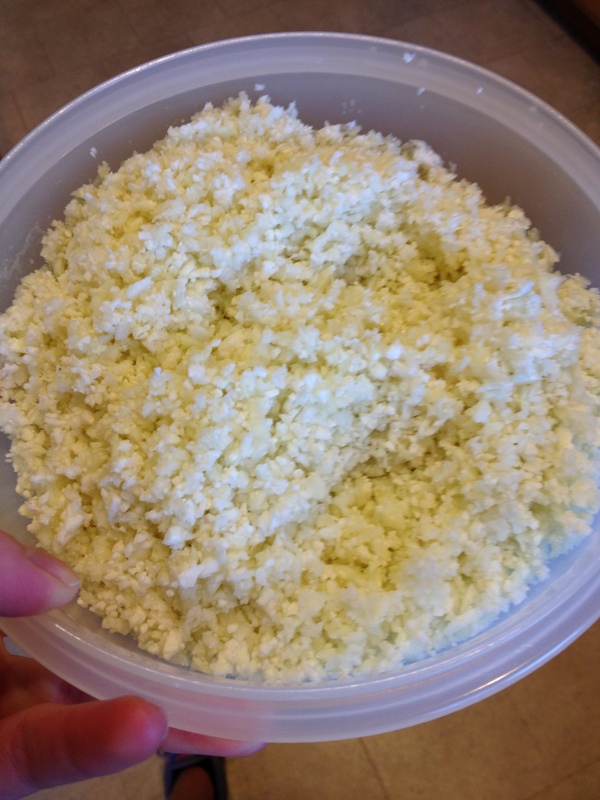 Then, using a food processor, chop the cauliflower until it resembles the shape of a piece of rice. YOU DO NOT want to chop it too long, or the cauliflower will turn into mush! Set aside. 2. In a skillet (big enough to hold the cauliflower as well), start cooking the bacon of your choice. You can already have them pre-cut into small pieces or just crumble it up once cooked. Once the bacon is cooked to your liking, set aside. 3. Cook the onions and eggs in the same pan. Have the eggs whisked prior to pouring into the skillet. 4. 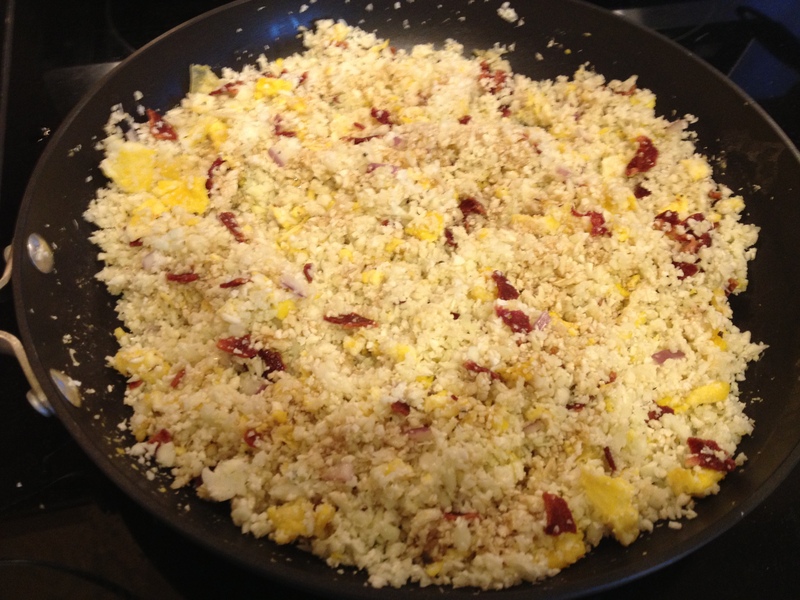 Add your cauliflower “rice” into the skillet with the eggs and onions and combine. This is when you would add all your other ingredients too. Cover and put on low until ready to eat. Add bacon right before serving. Note: Make sure the chicken is almost ready before adding the cauliflower to the skillet; if added to early, it will become mushy.